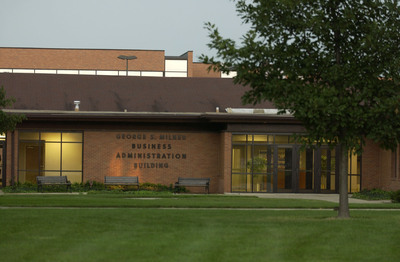 Opened in 1967 as the College Library, the Milner Business Administration Building honors the memory of Cedarville College trustee George S. Milner (1879-1970). 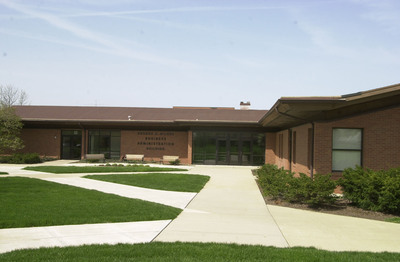 Founder of the Milner Electric Company in Cleveland in 1927, Milner was a successful businessman, also known for his civic engagement. 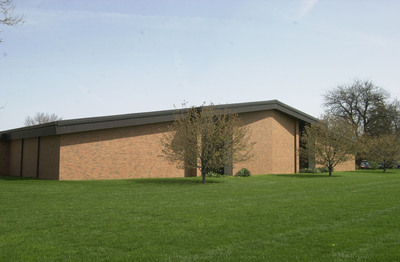 He was a member of the board of trustees of the Baptist Bible Institute of Cleveland from its beginning in 1942 and also served as its registrar. 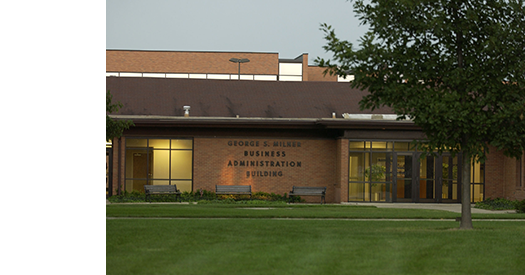 He was instrumental in the acquisition of the Cedarville College campus for BBI in 1953, supported the institution financially, and served on the board of trustees from 1953-1970 (chairman of the board from 1953-1968). 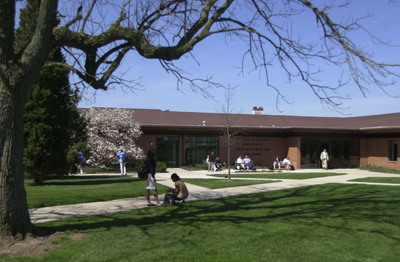 The first building named for Milner was Milner Chapel, the building that now houses the Department of History and Government. 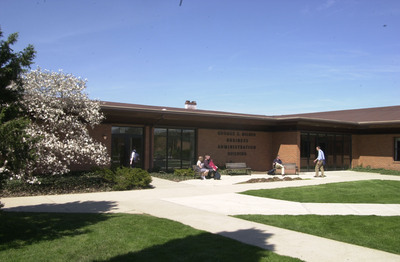 When the library was relocated to its present building in 1987, the unoccupied building became the Milner Business Administration building.